As always, our number one goal in Pearl Lash is to provide the highest quality professional education available on the market. However, as more than one thousand currently certified Pearl Lash Artists already know, we always work hard to bring premium lash supplies and accessories at a discounted cost to each and everyone of them. We never take shortcuts and never use untested sources. 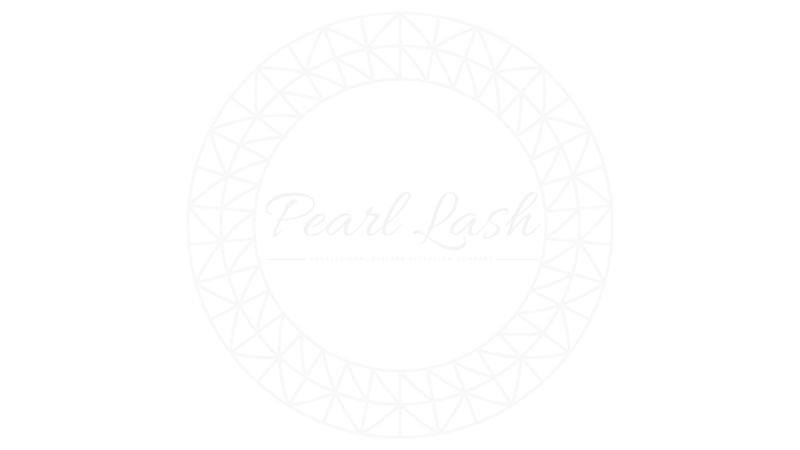 Each of the products you will find on our website has been hand selected, hand tested and sourced only from Pearl Lash trusted manufacturers. Premium supplies do not have to cost a premium when you purchase directly from the source… we are your source! This year, Pearl Lash will be focusing on bringing even more quality products to all Lash Artists out there. In this issue, we would like to showcase some of the products that have already been released, and some that will be hitting our virtual shelves shortly! Lash Artists everywhere have embraced this beautifully designed Lash Lamp. Available in both rolling stand version or attached directly to lash bed, this lamp packs a premium quality into an affordable price tag. Over 1000 units have been sold since our initial launch in November of 2018 and the demand is growing as we are trying to keep the lamps in stock. Order yours today to see the incredible power, versatility and quality these lamps have to offer. Shipments are arriving in our warehouse every 2-3 weeks so if you encounter a back-order, feel free to place your order and the lamp will ship to you within 2-3 weeks. When it comes to proper sanitation and hygiene, Pearl Lash Artists know how important it is to follow the rules. The number one rule of every beauty professional is to avoid contact with client’s skin as much as possible. Each and every training we conduct, we make sure that our students understand this notion. In order to avoid direct contact with client’s skin during a lash application we provide our students with Lash Bands. The bands are conveniently placed on your client’s forehead during the application allowing you to properly anchor your hands during the application. This setup is very sterile and professional and is recommended for every lash artist. The lash bands are expected to ship on March 15th, 2019. Pre-Order yours today! When it comes to our highly experienced Lash Artists, going with a thinner diameter lash extension makes all the difference. In order to achieve that perfect, full, mesmerizing Volume set you often see in commercials you must train yourself to work with thinner lashes. Only an experienced Volume lash artist will tell you that the thinner that lash extension the fuller the set will look, it might sound strange, but it is the cold mink truth. For those reasons, we are introducing our thinnest lash extensions ever, with a diameter of just 0.05 mm. The new thinner mega volume 0.05 mm lashes in C and D curls with lengths from 8 mm through 15 mm will be available on our web store in April of 2019, please stay tuned. Take the inconvenience of constantly bending over or getting up from your seat to review your eyelash extension set throughout your client application out for good. Pearl Lash oversize & extremely lightweight gold-plated mirror is made from 100% surgical steel. Wide surface and just the right angle will make it that much easier for any lash artist to check out their work in progress. Available on March 1st, 2019. Pre-Order Yours Today! Lash Lift Kit PRO by Pearl Lash Includes all the essentials to perform a flawless Eyelash Lift for any beauty professional. Lasting Beauty – Driven by Science Is Not Just a Slogan. Our chemists traveled the world in search of the perfect ingredients while creating this amazing product. Starting with the low odor high concentrate perming solution and combining it with Pearl Lash revolutionary skin healing REVIVE+ Serum, your customer will leave you feeling beautiful. This is the QUICKEST PERMING FORMULA on the market today. On average, the entire process, from the beginning to the end is about 25 minutes. Save your valuable time while getting amazing results. Professional training is available by our world-renowned Master Trainers. Now Available, Shipping from our South Florida Warehouse! This fun little gadget will help you take your eyelash extension client photos to a whole new professional level. Specially designed to clip to any phone and provide a circular pure while LED light to enhance the photo of your work. Take the pictures of your client’s eyelashes to a whole new level! Enjoy high quality, extra bright selfies as well as eyelash extension closeup pictures. Create professional looking photos for your portfolio or social media posts. This 36 LED light ring will bring amazing results. Three different brightness levels depending on your natural light requirements. No need to charge it, comes with 2 x AAA batteries. Clips on any cell phone or tablet without obstructing the camera lens. Comes in White or Black. Both available in stock now! Please stay tuned throughout the year for more new exciting products that Pearl Lash would be adding to our extensive lineup. Lash Lift & Tint With Keratin Training Is Back For 2019! …And It Is Better Than Ever! Pearl Lash Is Excited To Announce The Re-Opening Of Our Patented Lash Lift & Tint Training With Keratin Option! Brand New European Curriculum And Hand Picked Premium Perming Solutions For 2019 Are Sure To Amaze! The First Available Class in Orlando on February 18th, 2019 Is Now Open For Registration Online! Space Is Very Limited! Cost of Registration is $525 which includes your take-home Starter Kit! Eyelash Lift with the use of keratin treatment is a brand new concept brought to the US market. Lash Lift including the Keratin Treatment© has many more additional benefits for everyday wear. It allows your client to use mascara, rub their eyes and sleep face down on the pillow without worrying about damaging their lashes. Eyelash lift is perfect for clients with sensitive eyes and allergies to cyanoacrylate. The effect can last up to 8 weeks which becomes a great benefit for your client. Registration for the Orlando, February 18th Training is now open, please follow this link for details. Registration for Classes in Miami for middle of March and for Tampa beginning of April will be open soon, please stay tuned to our Website/Instagram/Facebook updates. Register Today To Be Listed On Pearl Lash Certified Lash Artist Network! The Network is now live on www.PearlLashExtensions.com/search and is growing by the day! New Article Archive Is Now Available To Everyone! If you are interested in learning from our own Pearl Lash business and marketing experts as well as our master trainers please feel free to browse a large collection of articles geared towards helping Lash Artists start or grow their business. Enjoy! On behalf our our entire Pearl Lash Team, we would like to wish everyone a very happy and healthy holiday season! Believe it or not, the Eyelash Extension service market in the US is still in it’s infantile stages… Yes, I’ve said it. When comparing to other beauty services such as hair, nails, makeup and esthetetics, Eyelash Extensions are just a little (however rapidly growing bigger) blimp on the beauty radar. Contrary to some belief that Eyelash Extension is just a trend, I will provide you an antidote that will kill that thought in an instant… mascara! In comes Maybelline, the pioneer and mass producer of mascara to the US public. Maybelline was founded in 1915 by a 19-year-old US born entrepreneur named Thomas Lyle Williams and 104 years later is still one of the most profitable eye makeup brands in the world. When you think that individual Eyelash Extensions have became mainstream in US just in the past 10-15 years, it leaves us to believe that there are enormous growth opportunities that are available to all up and coming Lash Artists. Eyelash Extensions is your mascara of the 21st Century. It all but replaces the need of using mascara, giving our busy modern society one less thing to worry about every morning. As a new Lash Artist, starting in an unfamiliar industry can feel overwhelming. We are going to try to guide you through this process. Performing your due diligence for each of the steps below, will help you get a good picture of what needs to be done to win the lash business competition in your area. America is a land of opportunity says the old cliche. It is however not a cliche at all, opportunity is everywhere you look… all you have to do is look in the right place. Every major US metropolitan market is unique in so many ways, when it comes to Eyelash Extension services it is no different. When you are ready to begin your journey and become a self employed Lash Artist you must first analyze the competition in your local market. Browse the web or stop by a few successful salons in your area, then by a few that are not doing so well to evaluate what your competition is doing right and where there is room for improvement. You can easily differentiate a successful establishment vs the contrary by simply looking at their reviews or by calling to see when their next available appointment is. The longer you will have to wait for the next appointment, the higher demand for this salon, thus deemed successful. What are their prices, special offers, client reviews. Look at their work space layouts, product offerings and the type of advertising they are doing. Look at what makes the top 3 salons succeed in your area and what makes the bottom 3 are fail. Always follow the leaders and avoid the mistakes of the ineffective. In order to understand how your local market price structure works, start by following the advise in the previous paragraph. You might be surprised but price plays a very small role in how successful a salon is or isn’t. Your analysis in the first paragraph will most likely show that just because a business charges very low for Eyelash Extension services does not mean they are busy. You might find the salon that is charging the highest rates in your area would be the most successful and busiest one of all. In order to price yourself right you have to compare apples to apples. If you are opening a small home studio, with only a few months of experience you cannot price tag your services like a luxurious spa does. What proper market price analysis should give you is the top and the bottom dollar you can charge in your area. It is then up to you to determine where are you on that scale. Some of the determining factors include: location, experience, reviews and surrounding competition. Always remember, price yourself right, not cheap! Clients usually steer clear of low prices and are always willing to pay more to feel reassured they are doing business with a professional. When performing your analysis in paragraph one, did you notice that many of the salons you contacted had a long wait time for the next available appointment or were many willing to take you in the same day? Is the population trend in your area on the rise or on the decline? Is this a seasonal destination where you get a large infusion of people for a few months a year? What is the median income level in your area? Can the majority truly afford to pay for your services? Those are just some of the questions you have to ask yourself when determining the demand in your local area. The more homework you do will greatly increase your chances of winnning the lash business competition. The supply side of the equation is not as clear cut as the demand is. Supply always fluctuates and could significantly change at any time. The larger the metropolis you are evaluating the less of a fluctuation in supply. In a smaller town, the supply picture could dramatically change with one major player joining the circuit where in a large city with greater population it will most likely not be felt as much. Ask yourself the same questions as we identified for the demand above. If you determine that you are on the right side of this equation (less supply, more demand) than your path to will have less obstacles. However if the contrary is the case, not all is lost! You can still be very successful, you will just have to work that much harder towards your success. Another way to tilt the scales in your favor is by creating additional demand. This could be done by infusing strategic advertising or getting help from your friends using the word of mouth strategy. Last, but not least, you need to determine your goals as a Lash Extension Artist. Will this be your supplementary income or your full time job? Are you planning to use this as a step to something greater or will this be your temporary solution to the means? Are you planning to invest time and money into this business or are you contempt with letting it catch its wave and ride it no matter where it brings you? Building a successful Eyelash Extension business will take time, dedication and the desire to reinvest some of your profits to improve your position. As with any business, there are no shortcuts or quick 1-2-3 step programs to success. Based on the hundreds of successful Pearl Lash Certified Lash Artists working in the field today, we can tell you this… The failure rate of an new lash artist who dedicates themselves to their new career, works hard, analyzes their competition and does not cut corner is under 1%! To put this into perspective, 99 out of 100 Lash Artists certified by Pearl Lash who Put In Proper Effort and Dedication are succeeding. We hear success stories everyday from our past students who have graduated and took the advise given during their time with us. Focus on your goals, do your research, never stop practicing to improve, do not cut corners or use inferior products, invest your time and you will be the best Lash Artist in your area! For additional articles from your friends at Pearl Lash please review the menu below. For up-to-date Pearl Lash Training Schedule please see menus below. Do not believe the beauty school myth, you CAN become a licensed Esthetician through one of many Technical Colleges in Florida and Georgia. 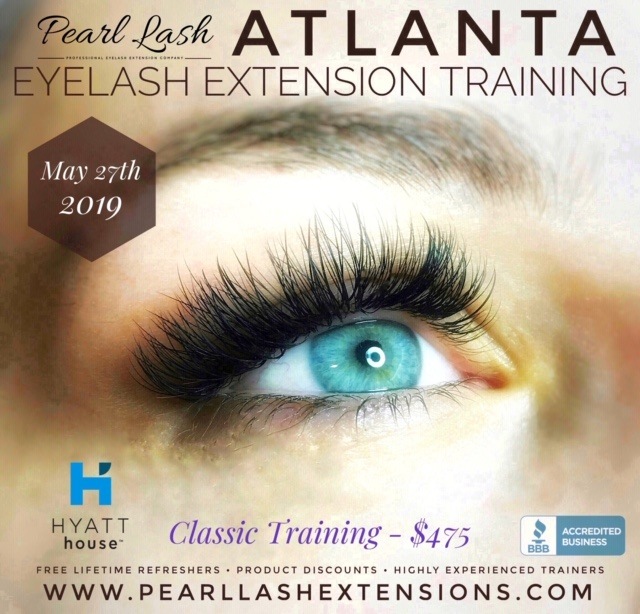 Once you complete an Eyelash Extension Certification Program with a credible Academy like Pearl Lash AND obtain an Esthetician (also called Facialist) license from the institutions listed below… you are on your way! Unless you truly desire to spend an upwards of $15k* on a beauty school to start a career in the beauty industry we have an option for you. Obtain your Esthetician (Facialist) License from a state regulated institution. Here is the list of state regulated Technical Colleges in Florida and Georgia where you can obtain your Esthetician (Facialist) license as quickly as 8-12 weeks and here comes the best part… the cost is generally between $800 – $1,300 depending on the location! Please click on any of the Technical Colleges below to read about the program. We are not affiliated with any of this programs however we have had students who attended them and were grateful for the advise. So there you have it. If you are ready to take the next step in your professional career, make upwards of six figures and enjoy the flexibility of working on your own schedule we have you covered. 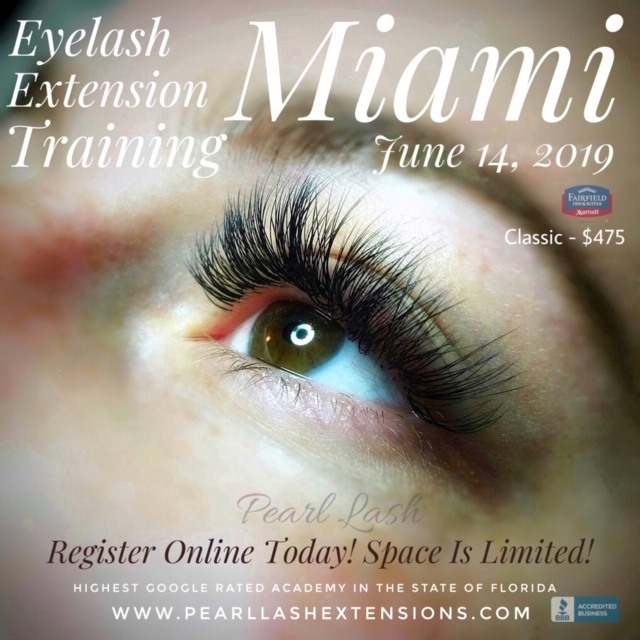 Become a certified Eyelash Extension Artist today by completing The Pearl Lash Certification Program in one of our 5 Florida and Georgia locations. Once you are done, complete the 8-12 week program in one of the above listed institutions to receive your license. Pearl Lash is the only BBB accredited A-Rated Eyelash Extension Academy in the state of Florida. We are also the highest rated Florida based Eyelash Academy for the second year in a row based on our students reviews.